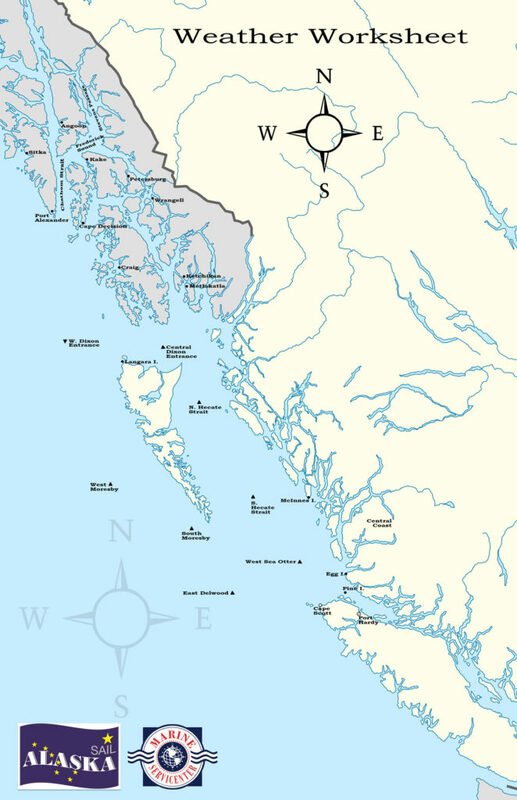 Below are links to products & websites we’ve found useful when sailing up the Inside Passage. Bug Bite/Deet – what cream for bug bites, what insect repellant is best? Here’s a good link to look at about insects: http://www.alaska.org/advice/mosquitoes-in-alaska. Jim Says: southeast Alaska is not as bad as you would expect, but you should have bug nets that cover your face and 100% Deet works when we are in a buggy anchorage. Coins/charge card for showers/laundromat in Canada, U.S. Loonies/toonies? Loonies and US quarters. I have found it is less expensive if you let the operator do the wash and fold for you. Does Sail Alaska buy my Canadian and US Fishing licenses? No, Sail Alaska does not supply you or your crew with Canadian or US fishing licenses. If you would like to fish you are responsible for purchasing them. Does Sail Alaska supply insurance in case something happens to my boat? No, Sail Alaska does not insure your boat. You are responsible for your own boat and insurance. Does Sail Alaska supply me and my crew with Anan Creek Permits? Yes. We purchase a group pass. It is essential that you let us know the total amount of permits needed for your boat. The purchase amount for each boat is then taken out of the deposit money. Fire starter material – the wrapped log kind like fire logs or something else? Since you were the first to ask, you will have to build a bow drill to start the first camp fire. List of provisions – anything on there that we specifically need for a group effort – taco night, sushi contest, chili contest, for instance? Potlucks can be very competitive, bring your best recipes. Extra points are given for items found or caught. Maybe one a week if we find a beach or dock and the weather permits. We just purchased a hand held DSC-VHF radio and trying to decide if we should program it with Boats’s MMSI number or get a new one. What do you recommend? I wouldn’t worry about another station license or MMSI number. The hand held doesn’t have a lot of power or range. Most likely someone on another boat will hear and relay. We will setup the VHF safety protocol and relay system before head off into the wilderness. When should I schedule boat yard work with Marine Servicenter or another boat yard to get my boat ready for cruising? We recommend scheduling well in advance of your departure date. Most boat yards have a hard time fitting boats in for work especially during the beginning cruising months & just before. Getting your boat on the schedule is essential for timely service work completion. We highly recommend getting your boat serviced in the fall or winter months when boat yards are less busy.